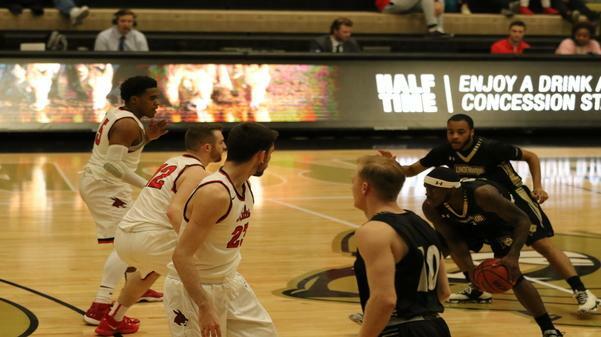 File photo: The Lindenwood Lions won against the University of Central Missouri Mules with a final score of 78-72 on Feb. 27 at the Hyland Arena. 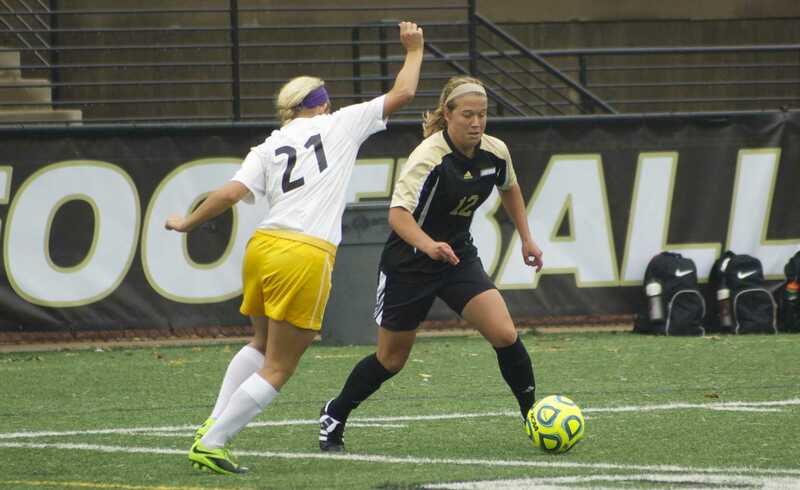 Lindenwood fell in the first round of the MIAA tournament in a wire-to-wire, back-and-forth battle with the Southwest Baptist Bearcats. The Bearcats jumped out in front early, as they held a 15-8 lead during the first five minutes of play. Lindenwood immediately went on a 14-3 run of its own, taking the lead 22-18. The Bearcats ended up taking the lead back and went into the half ahead 39-37. Seven different Lions were able to put the ball in the basket in the first half. Sophomore Diego Womack led the way in scoring for the Lions with 9 points. He was followed closely by sophomore T.J. Crockett with 8 and junior Chris King with 7. For the Bearcats, it was sophomore Chris Rossow and junior Godfrey Rolle who led the way with 9 points each. Redshirt sophomore Maris Colton and senior Andy Campbell each added 6 points. It was an efficient half, as they shot 62 percent from the floor and about 54 percent from three. The second half was just as tight as the first. Southwest Baptist was able to extend its lead to as many as seven, leading 50-43 with about 15 minutes left in the game. Once again, Lindenwood was able to strike back with a run of their own. Over the next six minutes, the Lions outscored the Bearcats 17-4. This established their largest lead of the game, going ahead 60-54. The Bearcats were able to wrestle the lead back and were ahead 76-72 with 10 seconds to go in the game. With their season on the line, Crockett knocked down a three to reduce the Bearcats lead to 1. The Lions were able to force a defensive stop and throw up a desperate heave as time expired but came up just short. Five Lions were able to score in double figures. Senior Brad Newman led the Lions in scoring with 16 points. He also added 5 assists. Womack followed closely behind with 14 and King behind him with 13. For the Bearcats, Rolle led all scorers in the game with 22 points. Senior Karim Mouliom added 15 points and 8 rebounds. Freshman Quinn Nelson was able to add 13 points. The Loss brought the Lions’ record to 16-16 overall and 9-10 in MIAA play.